Antartica's First Homicide Heats Up "Whiteout"
Nature never intended you to survive in Antarctica . For U.S. 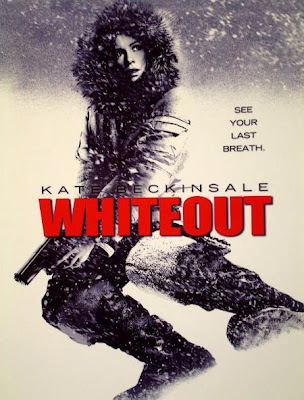 Marshal Carrie Stetko (Kate Beckinsale), things are about to get even more dangerous, in Warner Bros.’ new suspense-thriller “Whiteout.” The only law enforcement in this unforgiving territory, she has just been sent to investigate a body on the ice. Antarctica ’s first homicide. A shocking discovery in itself, it will plunge her into an even more bizarre mystery and the revelation of secrets long-buried under the endless ice…secrets that someone believes are still worth killing for. As Stetko races to find the killer before he finds her, winter is already closing in. In the deadly Antarctic whiteout, she won’t see him till he’s a breath away. Stetko’s departure plans are put on hold when a body turns up in the ice field. Frozen to the ground by blood and ice, his arms and legs strangely contorted, the body is that of an American geologist named Weiss, a member of a small research team studying meteorite fragments. Closer examination reveals numerous broken bones and a fresh gash in his leg that has been crudely stitched up, but the cause of death is a deep chest wound delivered by an instrument very common to this rough terrain: an ice ax. As much as Weiss’s death is a mystery, its location is even more baffling. Miles from nowhere. No tracks, no maps, no gear. What was he doing way out here? A murder victim is the last thing Stetko expected to find after two years of arduous but uneventful duty, and certainly the last thing she wants to deal with now. Nevertheless, passing him off to the nearest U.S. authorities at McMurdo Station 900 miles away is not an option. Unfortunately for Stetko whose bags are already packed, this doesn’t look like the kind of case that can be wrapped up easily. 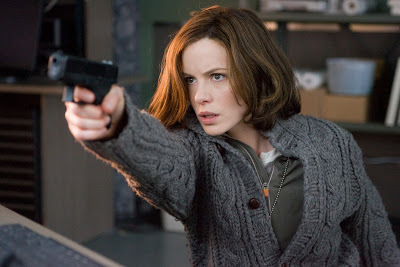 Instead, it becomes immediately more complex as Stetko turns her attention to the two remaining members of Weiss’s team, men who could be either prime suspects or the next victims of a killer whose motivation she has yet to discover. Opening across the Philippines on Sept. 16, “Whiteout” is distributed by Warner Bros. Pictures, a Warner Bros. Entertainment Company.